He is 5’7″ tall, mainly bald with a small amount of grey hair and last seen wearing a dark green beanie hat with a stripe, a dark green fleece, dark coat and blue jeans. 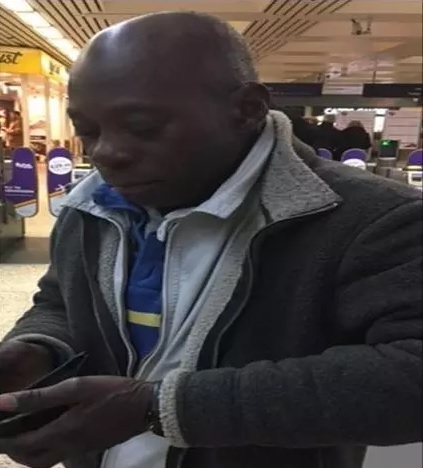 He was last seen at 23:30hrs on Wednesday, 7 December at Newham General Hospital before receiving test results for a life-threatening condition which can cause him to collapse. If you have any information him that is helpful, please contact Newham CID on 07747 780610 or alternatively call police on 101. UK Nigerian Babatunde Paul Odeyemi is missing Bookmark the permalink.